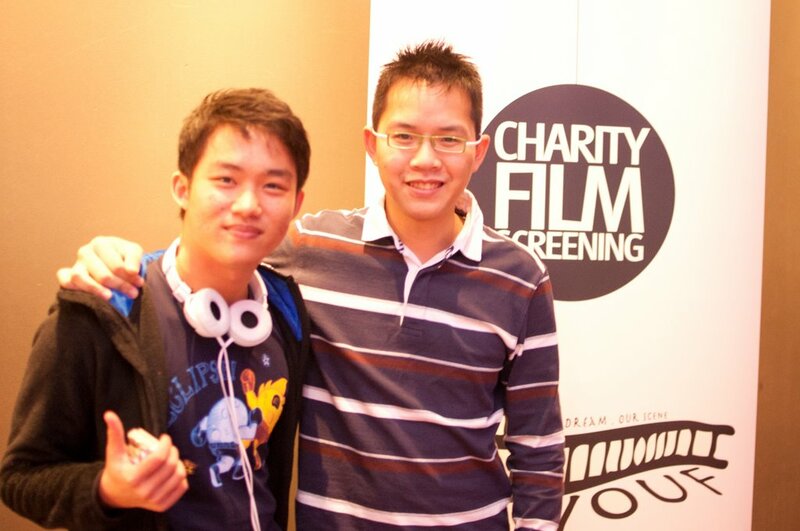 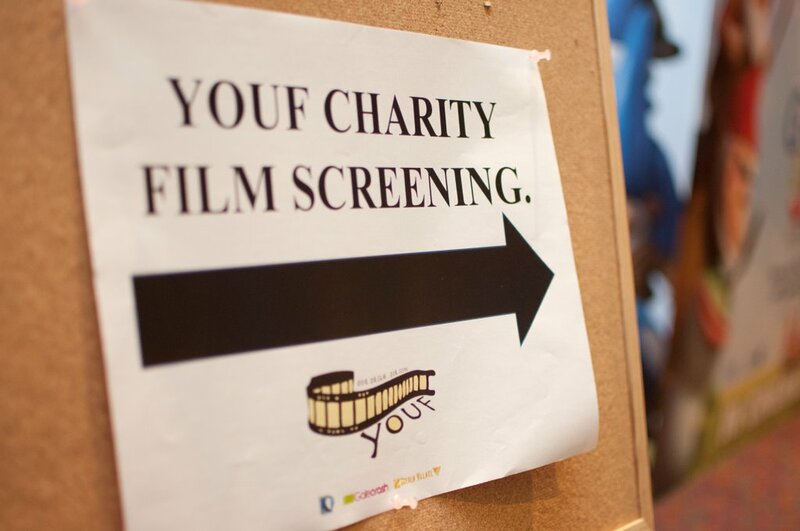 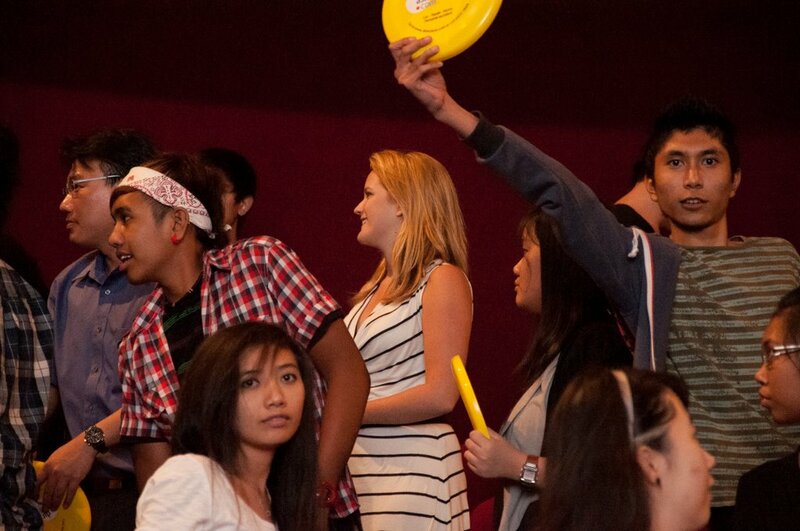 "This way to YOUF screening"
Drawing inspiration from a speech made by Prime Minister Lee Hsien Loong in 2010 to pre-university student, Josiah Ng, Chairperson for YOUF, decided to give something back to society while pursuing his dream of promoting the local scene and films. 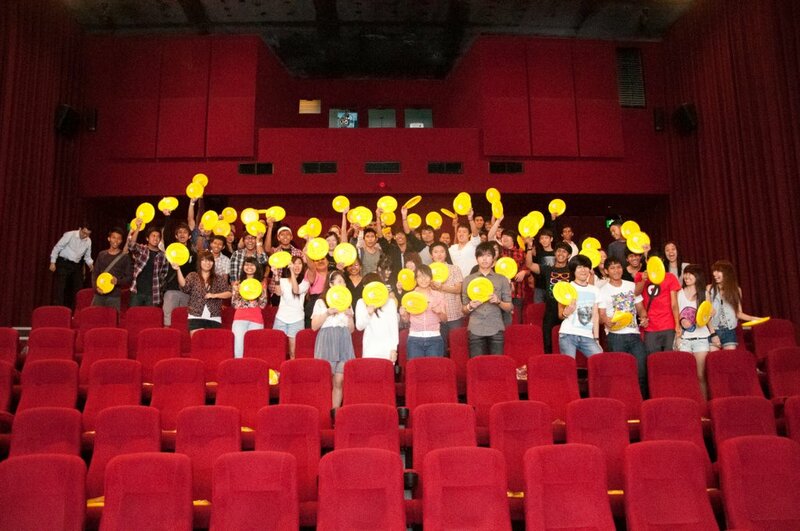 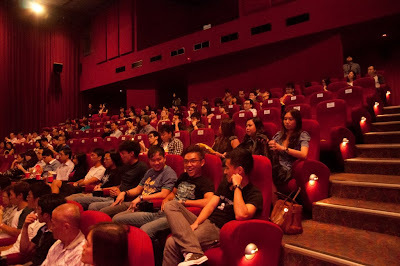 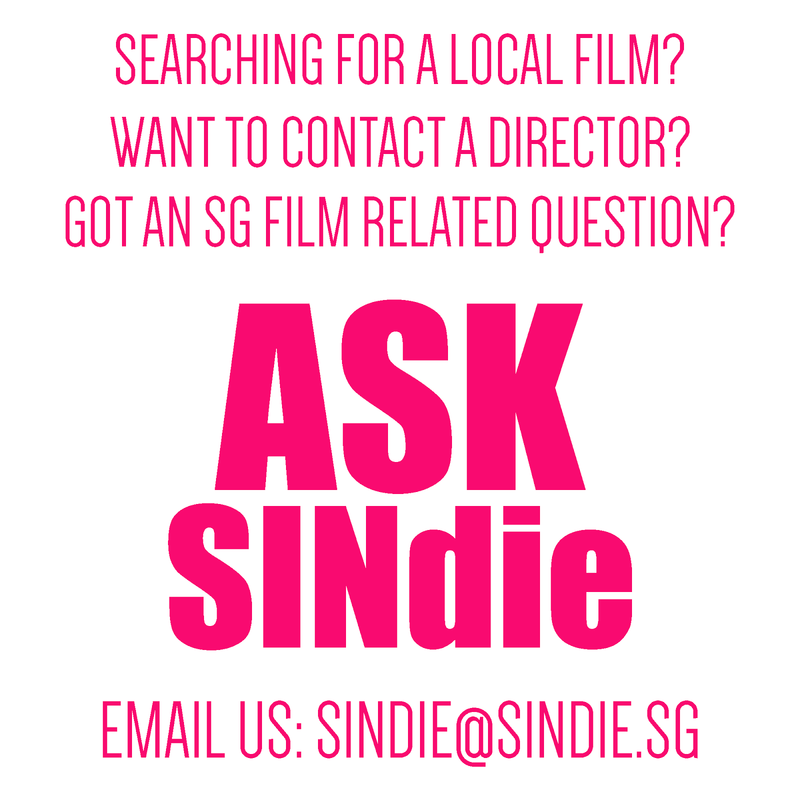 Directasia.com has kindly sponsored 110 children from the Straits Times Pocket Money Fund to catch the fundraising films along with us. 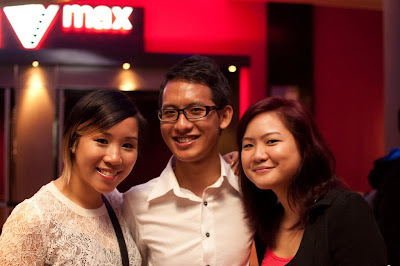 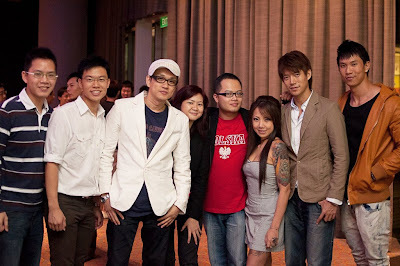 Award-winning filmmaker Anthony Chen(left from banner stand) and the organising committee. 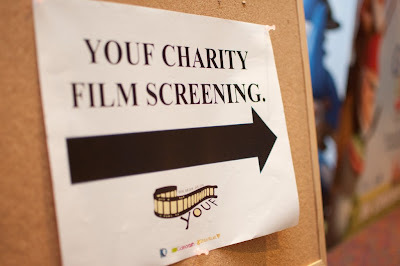 Kudos to their hard work and may there be the 2nd YOUF in 2012! One of the more inspiring films that I caught; brought back memories of the time when I used to be part of a swimming team. Here's a nice quote from the movie "You have swam half of the 100m.What are you fear of". 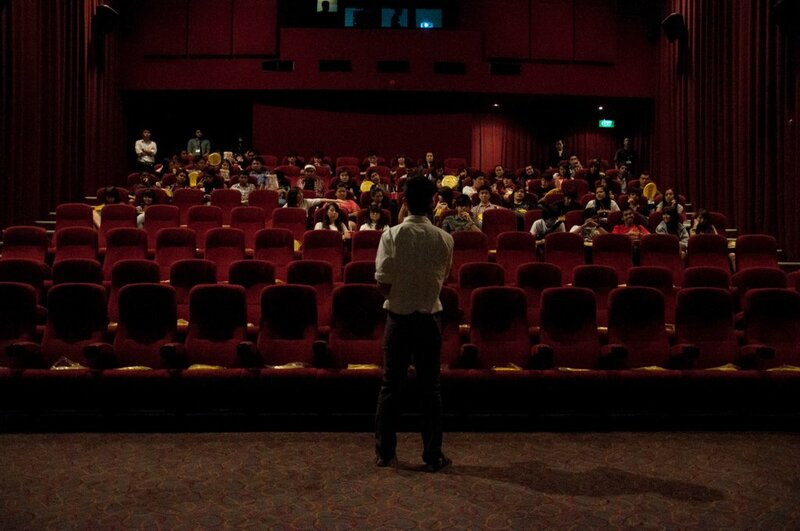 This film garnered a Special Mention Award at the Cannes International Film Festival in 2007, makes a touching finish to the event. Finally, the theatre laughed out loud at a series of 30 seconds ads featuring Adrian Pang and his kids.